For those who know me well I get called a gypsy. I love listening to my inner intuitions and I feel like 2016 is going to be a wonderful year (so far so good). I also have a feeling there are a number of women in Canberra to watch as they are going to achieve great things this year. One of the first on my list that I would like to introduce you to is Tina Nikolovski (yes full disclosure it’s not secret she is a friend). Friend or no friend this woman is simply inspiring. Who is Tina you ask? She is a personal trainer, a photographer and an agent (Devojka Models.) A true creative who expresses herself on a number of platforms. When you meet her for the first time you will be taken back by her energy and her general manner. You can’t really have a bad day hanging around this woman. Tina has been shooting beautiful images for over eight years so I took the time to interview her about her more recent venture, Devojka Models. Q // Tina you have achieved so much already, PT and photography why extend yourself further and open a modelling agency? A // I wanted to launch a modelling agency in Canberra to first of all to challenge the norms that exist in the fashion industry. 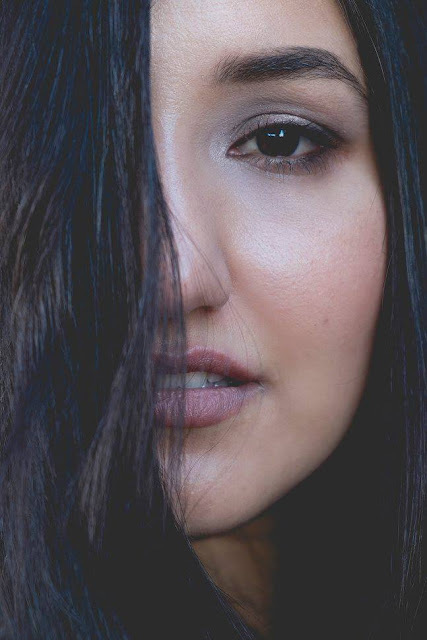 Devojka Models represents a diverse range of cultures and body shapes that aren’t your typical agency categories. Having worked as a photographer I also knew the depth of talent that existed in Canberra that just needed support to take it to the next level. My experience in the industry as a photographer has given me a different perspective and I am able to offer in depth, support and experience to my models. Q // I’m curious where does the name Devojka models come from? A // Devojka comes from a Slavic background meaning girl. My heritage is Macedonian and I wanted to connect with it. I also knew that picking a foreign word would spark curiosity. Q // What is the aim for Devojka models? A // Devojka models will aim to challenge the preconceptions that to make it in the modelling industry, one must apply interstate. It will also challenge the common stereotypes associated with the modelling industry. Devojka Models, my philosophy and the amazing team of models behind it will aim to prove this wrong by challenging societal and industry norms every single day. Q // Where do you want to take Devojka models? A// Initially I would like to continue establishing a strong client base in Canberra. I already have a small client base interstate and I plan to develop this even further, and broaden Devojka nationally. Q // You wear so many different hats, how do you find the time to fit this all in? This is true, I manage to fit a lot in as I have developed solid time management skills over the years. I am not a creature of habit by any means, I love variety and I have a big passion and love for what I do. With any of my roles I don’t feel like it is work, it’s simply me following my dreams and making my visions tangible. Having seen Tina grow over the years I have seen her face some immense challenges in the past. This is why I believe that she is someone to watch. A person who can travel such a roller-coaster journey and do so well is someone to watch. Look out for this woman Canberra, she is killing it!